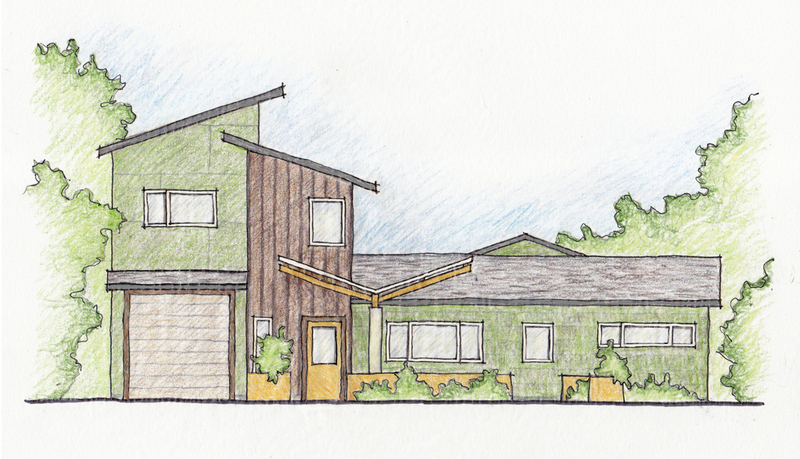 This Shoreline Residence will be expanded from 1750sf to 2250sf, with the addition to include a bonus room, guest bedroom space, bathroom, laundry/utility room and a single car garage. The addition replaces an undersized one-story two-car garage with a two-story space that also serves as the new entry to the home and updates the 1951 home with a more modern aesthetic. Working within a tight budget, the design not only provides the spaces needed by the homeowner, but small changes to the main portion of the home allow for the whole house to be much more usable.